Backpackers and hikers often take along dehydrated foods on their outdoor adventures due to the low mass and weight of dehydrated foods. Dehydration preserves food by eliminating the moisture in it. 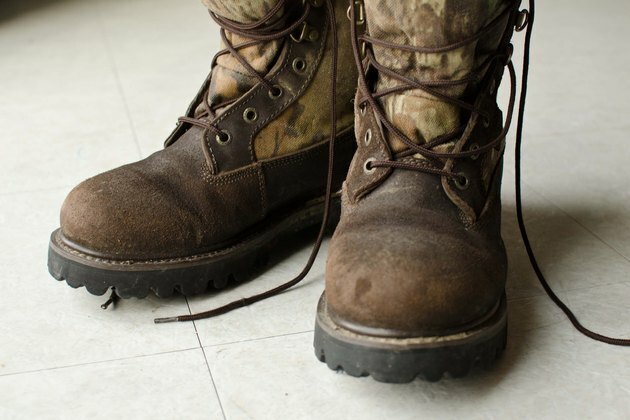 The food environment is not conducive for the growth of bacteria when moisture is eliminated. Meats, fruits and vegetables can be dehydrated and do not need refrigeration. Chicken can be seasoned as desired and dehydrated in dried or jerky form. Cook the chicken as you desire until the internal temperature reaches 165 degrees Fahrenheit. 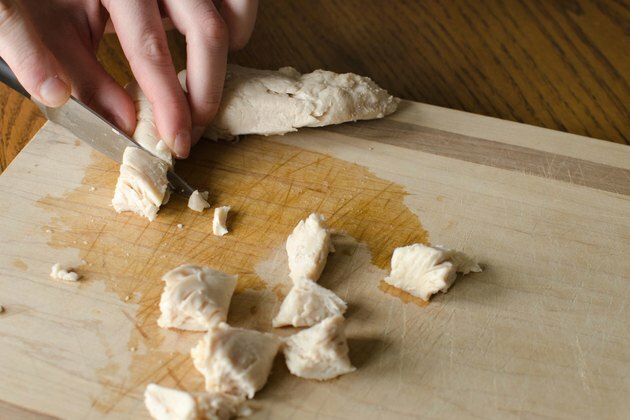 Cut the chicken into 1/4-inch-thick strips or cubes. Remove any fat from the chicken and discard. Marinate or season the chicken as you desire. Refrigerate the chicken for one to two hours. 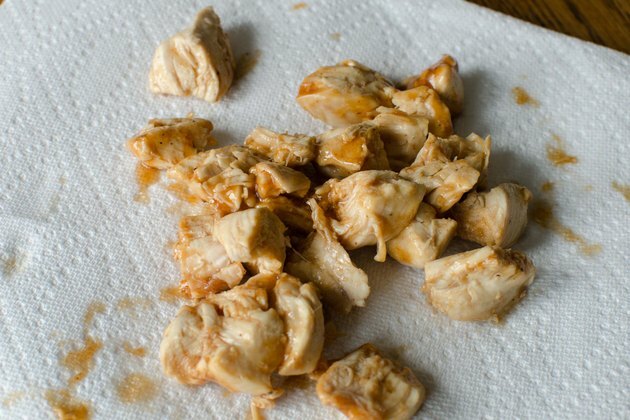 Blot the chicken with a paper towel until the chicken is completely dry. Place the chicken in a shallow or flat baking pan. Do not allow the pieces of chicken to touch each other. 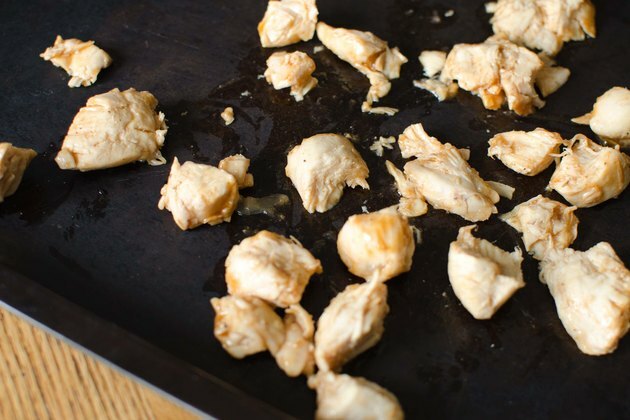 Dehydrate the chicken in a dehydrator or in your oven. Follow the instructions on your dehydrator and make sure that the chicken reaches an internal temperature of 140 degrees Fahrenheit. For oven dehydration, heat your oven to 275 degrees Fahrenheit and cook until the chicken reaches an internal temperature of 160 F. Leave the oven door cracked open two to three inches. Place a fan in front of the oven door to circulate the dry air. Monitor the chicken every 30 minutes. Turn and flip the chicken strips or cubes occasionally if you are cooking in the oven. 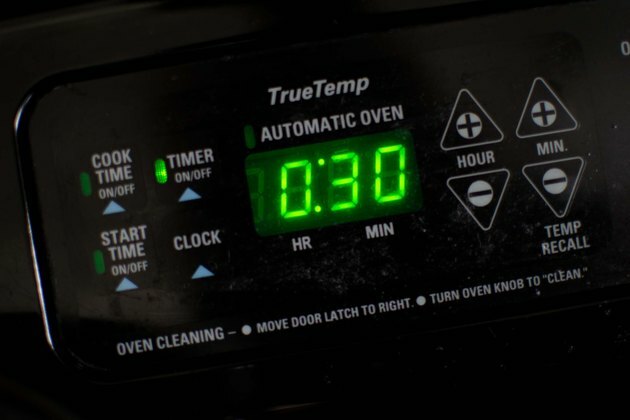 The cooking time may range from four to five hours, depending on your cooking method. Dehydrated chicken should be dry, not flaky or brittle. Allow the chicken to cool completely. 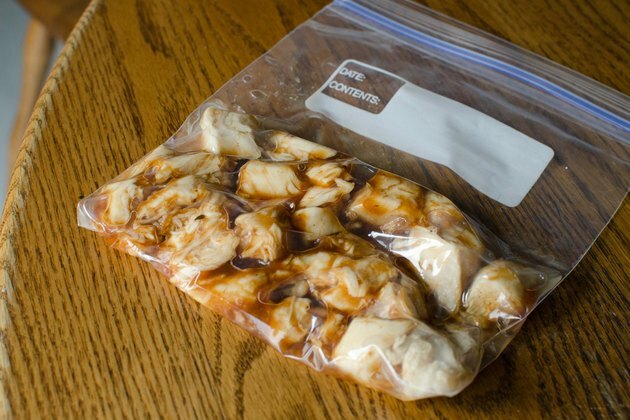 Store and package the chicken in an airtight container or bag. Add warm water or chicken broth to the dehydrated chicken when you are ready to eat. 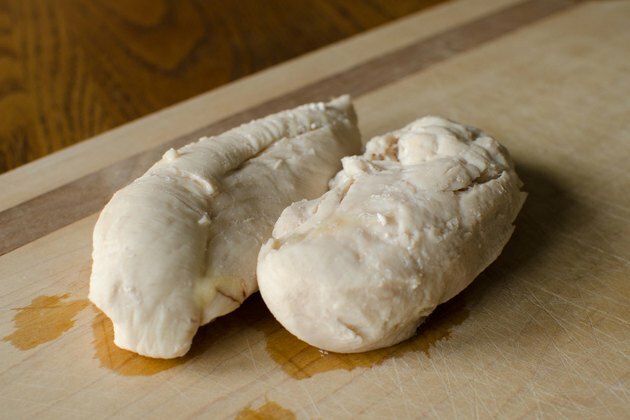 Consume your unrefrigerated dehydrated chicken within two weeks of the drying process to ensure the chicken is free of bacteria. 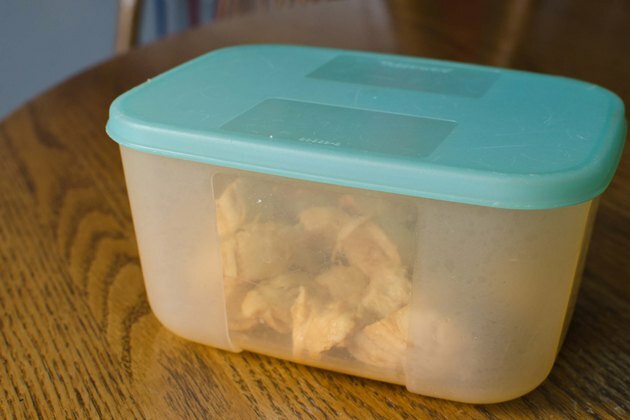 Refrigerate or freeze the dehydrated chicken to extend the storage life.